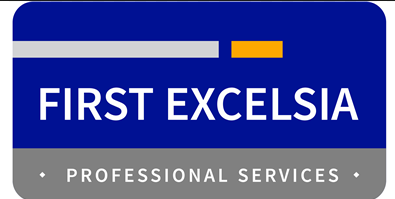 First Excelsia Professional Services Limited latest job openings. See the requirements and procedure to apply for the First Excelsia Professional Services jobs online. Male or Female. 18 – 35 years old. Able to read and write in simple English. Good in simple arithmetic. i.e. add, subtract, multiply and divide. Must be target driven and persuasive. Preferably a locale of the area that speaks the language and has a good understanding of the local customs. Must reside within Sango Ota, Ifako Ijaiye, Meiran axis. Applicants must have completed the required professional training and qualifications for their disciplines from recognized institutions. Applicants must be a registered Nurses/Midwives with Paediatric Nursing Training and qualification. They must have full registration and affiliation with relevant professional bodies. Applicants should have at least 3 years post qualification experience. Applicants must be a registered Nurses/Midwives with Perioperative Nursing & Theatre Management qualification. How to Apply for First Excelsia Professional Services Limited Jobs. Apply for the post of Chief Operating Officer at FirstExcelsia. Apply for the post of Internal Auditor at FirstExcelsia. Interested and qualified candidates should send their Resume to: jobs@firstexcelsia.com using the Job Title as the subject of the e-mail. Apply for the post of Business Development Officer at FirstExcelsia. About First Excelsia Professional Services Limited. FirstExcelsia is a firm of highly versatile and renowned Human Resources, Organisational Development and Management consultants with a team of over a hundred employees spread across Nigeria. We have an in-depth understanding of the Nigerian business terrain and we are very passionate about partnering with indigenous organisations to develop glocalised HR solutions, processes and structures required to develop and effectively drive our clients’ corporate strategies.